A feature in watchOS allows you to audibly hear the current time whenever you tap on the Apple Watch display. Here’s how you can enable it. Despite being a tiny little device, the Apple Watch is capable of pulling off a lot of things on the go. But at the end of the day, it’s ultimately a timepiece that is meant to sit snuggly at your wrist, ready to tell you where the hours and minutes stand. So, apart from letting you glance the time on the display itself, there’s a second way of checking time as well – audibly hearing it whenever you tap on the display. Of course, this little feature is not accessible on every single watch face on the Apple Watch. 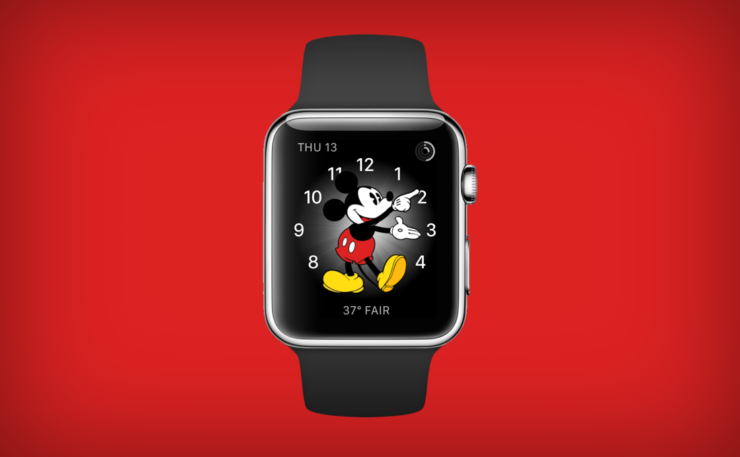 For reasons unknown, Apple has decided that this will work only on the Mickey Mouse and Minnie Mouse watch faces. Also, there’s a little toggle switch you have to enable from Settings as well to get things up to speed. Follow the guide below and see for yourself. 1. Launch the Settings app on your Apple Watch. 2. Scroll down and tap on Sounds & Haptics. 3. Now scroll all the way down and enable the Tap to Speak Time option. 4. Go back to the main watch face on your Apple Watch and select the Mickey Mouse or Minnie Mouse watch face by deep pressing on the display. 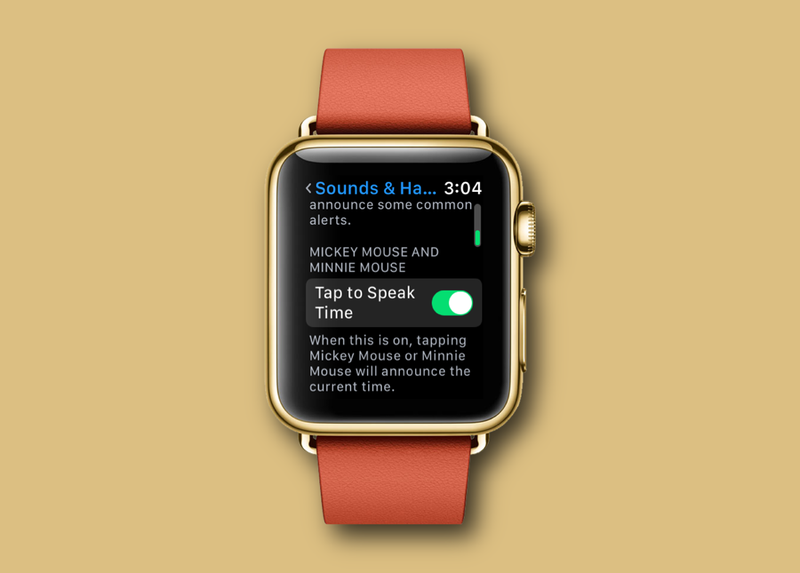 Once done, simply tap on either Mickey or Minnie, and your Apple Watch will announce the current time in the characters’ actual voice. Cool, isn’t it? I really wish this little feature was available across all watch faces. Since it isn’t, therefore it’s best to stick around with Mickey or Minnie Mouse to hear time audibly. Also, since the Apple Watch has an extremely tiny speaker, therefore this little feature might not serve its purpose well if you are on a bus or taking a train. Still, it gets the job done that too in true Disney fashion. Let us know in the comments section what you think about this feature in watchOS.